Or if you want to choose your floor plan and build your own, receive $10,000 in Design Galleria options plus $5,000 in closing costs on To-Be-Built Homes* View hundreds of options online and create a wish list for your dream home through Standard Pacific’s Online Design Center. Buy a new home in Raleigh at sought-after Lennox at Brier Creek, a master-planned swim club community with four different townhome collections to choose from. 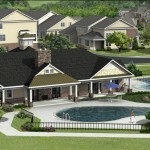 Don’t miss this chance to live in Brier Creek. Standard Pacific offers an award-winning Designer Collection of Brier Creek townhomes with four different plans ranging from 1,581 to 1,777 square feet, starting at $199,900. These two story homes feature one-car garages, loft areas per plan, 9-foot smooth ceilings on the first floor, dramatic archways and optional screened porches. Amazing amenities include two pools, private parks, pool-side picnic areas, clubhouse with a gathering place, business center, recreation and fitness center. 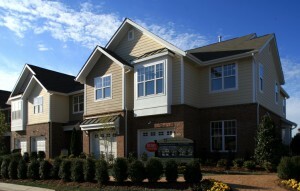 This community is conveniently located off of Brier Creek Parkway behind Wake Medical Center. Enjoy an easy stroll down sidewalks to local restaurants, shopping, the movie theatre, elementary school and a community center that features a park, gymnasium, walking trails and outdoor concerts! Directions: Take Hwy 70W/Glenwood Ave just past I-540 interchange. LEFT on Brier Creek Parkway past Lumley Rd. Left at Brier Creek Elementary just after passing Wake Medical Complex. Community is located at Vogel & Bruckhaus Streets. *Prices, programs and availability are effective date of publication and subject to qualification and change without notice or obligation. Broker MUST accompany buyer to FIRST sales office visit. Incentives applicable when using SPH Mortgage and preferred attorney. See Sales Counselor for details. Register online or call the Standard Pacific Online Sales Counselor, Andrea Davis, at 919-206-7380 (Toll Free 888-222-2412) for additional information or to schedule a visit to see the community and models. When you schedule your first community visit through your Online Sales Counselor you will receive an additional $1,000 in DESIGN OPTIONS on your new Standard Pacific Home! This entry was posted in New Home News, North Carolina, Raleigh new homes and tagged Brier Creek townhomes, Lennox at Brier Creek, live in Brier Creek, new home in Raleigh, Standard Pacific on November 3, 2008 by Standard Pacific.